Toni Allen is the author of the Jake Talbot Investigates mystery series, which began with Visiting Lilly (2014) and continues with Saving Anna (2015). The third book, Finding Louisa, is in production. As a photographer of note, a columnist, and an acclaimed tarot reader and astrologer, Toni draws on her extensive experience as a psychic to bring personal awareness of the paranormal, from both the believer and non-believer's point of view, to her Jake Talbot Investigates series. 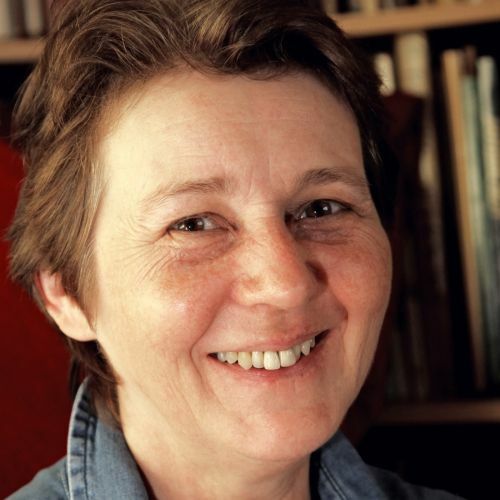 Toni has had numerous non-fiction articles published, and won awards for short fiction and poetry, including a first prize awarded in a competition judged by noted mystery writer P D James. She's the author of two bestselling books on tarot, one of which is now also published in Italian by Spazio Interiore. Current work in progress includes a new cozy mystery series about a young antiques dealer who lives in rural England. She lives in Surrey, England, where she happily includes pink grasshoppers in her macro-photography. Why should a man at a Surrey police station go ballistic because someone tries to visit Lilly, his elderly grandmother? Detective Inspector Jake Talbot is intrigued, and this little puzzle might serve to distract him from sorrows of a Christmas past. Soon he is entangled with Frankie, an odd young man who claims to have met Lilly in her youth. 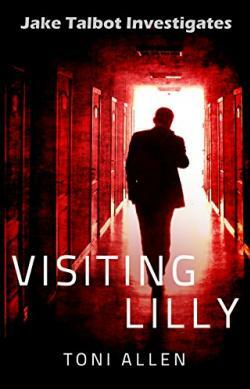 Talbot dismisses the notion of time travel, but then discovers the Ministry of Defence has been monitoring Frankie since his friend disappeared ten years previously. Forced to work with the MOD, Talbot unearths family secrets and betrayals. The families act ruthlessly to prevent him from discovering the facts, colluding to ruin him. If Frankie is innocent, Talbot won’t let him be victimised. An uneasy understanding grows between them as they follow the evidence, for only the truth will allow Frankie to visit Lilly. 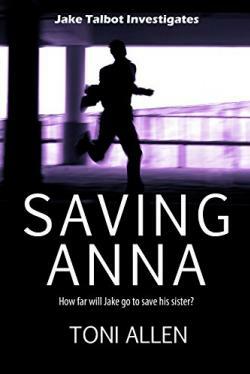 Detective Inspector Jake Talbot hates working undercover. Yet, when ordered to Dorset to observe a sinister cult for the Ministry of Defence, he accepts, because the group’s beliefs pose a direct threat to his disabled sister, Anna. The MOD also need his friend Frankie’s exceptional computer skills, skills he’s prohibited from using except on the Ministry’s behalf. Bitter from previous dealings with them, Frankie refuses to work for the government, but is willing to assist Talbot. Neither man knows what they’re meant to be looking for, but observation turns into investigation when they discover a woman’s body draped over the gravestone of one of Talbot’s ancestors. Soon after, a dangerous piece of evidence slips into Talbot’s hands, the plotters’ desperation to get it back becoming the catalyst for murder. As they uncover a conspiracy that links psychic manipulation, drugs, and death, the two friends grow from master and apprentice to partners in detection, protecting each other from increasing hazards. The trail leads them into deeper shadows, where Talbot’s old enemy waits to wreak a revenge that is as shocking as it is painful. It will take all of Talbot’s detective skills, and Frankie’s brilliance and imagination, working together, if they are to bring down the criminal conspiracy and defeat his enemy. Set on the beautiful Dorset coast, this gritty psychological thriller races to a chilling conclusion in which Frankie and Talbot must face the cost of saving Anna. Being immortal has its downfalls. The recurrence of loss, the memories, and the continual need for a new identity before everyone questions why he looks so young. From the start he knew that Richard Ridley didn’t feel safe; dying in infancy, and apparently unloved. He has no intention of being Richard. But then a man turns up claiming to be from the Special Investigation Department; and he’s forced to take on Richard’s identity, or be locked up…forever. All the department wants is for him to help them find other immortals. 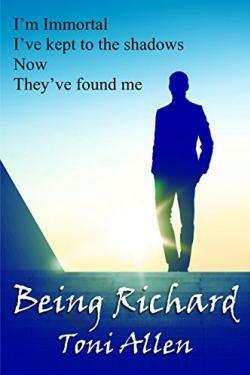 He is terrified of having his life controlled by others, but cannot rest until he’s discovered why Richard’s short life upsets him so much. Defying the department’s instructions he sets about investigating his history. Uncovering Richard’s past proves dangerous, even for an immortal.